Spinal stenosis is a serious problem that causes the spaces in the spine to shrink. It may cause an increased pressure on the spinal cord, dural sace and the nerve roots coming Spinal Stenosisoff. It commonly afflicts the neck and lower back. Some individuals experience no symptoms while others experience numbness, pain, weakness and aching. 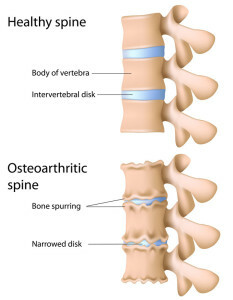 The condition is typically caused by changes in the spine due to wear and tear. Surgery is recommended in severe cases of the condition as a last resort in order to open up the tight areas in the spine. As previously mentioned, many individuals exhibit no signs or symptoms of spinal stenosis even though they show evidence of it via medical tests. The majority of people who have symptoms experience them gradually at first before they start to grow worse over time. Neck pain: a narrowing in the neck can trigger weakness, numbing and tingling in the legs, feet, arms and hands. In rare instances the stenosis affects nerves in the bladder causing incontinence. Low Back Pain: Nerves in the lumbar (low back) area of the spine can cause pain in the legs when standing for a long period of time. Walking long distances can also cause the low back pain to increase. Interestingly, a lot of people have only minimal to moderate neck and Back Pain, but symptoms in the extremity from the pinched nerve. It is important to see your healthcare provider if you have any of the above listed symptoms associated with the condition. As the spine experiences wear and tear, bone spurs can occur that will extend into the spinal cord essentially filling up the open spaces in the spine. Usually it’s due to osteoarthritis. Paget’s disease, a bone related conditions in adults can also be the genesis of bone overgrowth. 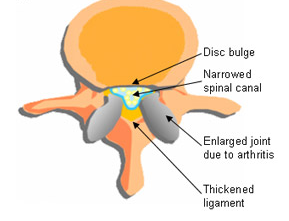 The disks in the back act as shock absorbers in-between the individual vertebrae. As people age, these disks can become dry and brittle causing them to crack. Should a large enough crack occur, the spongy material inside can overflow out into the spine and cause pressure on the spine or spinal nerves. Ligaments that keep the bones of the spine together can grow increasingly thick over time. If they become too thick, the outgrowth can cause increased pressure on the spine and surrounding nerves. Motor vehicle accidents, slips, trips and falls can all lead to spinal injuries that cause fractures or dislocations in the vertebrae. Dislodged bones and swelling can cause pressure on the nerves and spinal cord. Swelling from spinal surgery can also lead to surgery induced spinal stenosis. What are the Risk Factors of Spinal Stenosis? 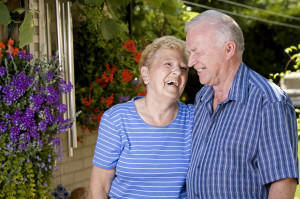 The majority of individuals with spinal stenosis are over the age of 50. Individuals younger Arthritis treatment Las Vegasthan this have often suffered an injury. It may also be a sign of a genetic disease in younger people. The vast majority of the time, it’s just part and parcel of having osteoarthritis with wear and tear degenerative changes of the spine. It is often difficult to diagnose spinal stenosis without proper medical testing because it mirrors many other health related conditions in people over the age of 50. Imaging tests are typically performed to accurately assess if and where the stenosis may be occurring. X-ray: an x-ray will typically not identify spinal stenosis, but it will rule out many other possible problems. Magnetic resonance imaging (MRI): an MRI is the most common test performed to diagnose spinal stenosis. The test can damage in the disks, ligaments and the presence of debris and tumors. It can also identify pressure that is on the spine and surrounding nerves. CT Myleogram: this test produces multiple angles of the spine. If a person has had previous surgery and is not allowed to have an MRI, this test works well. 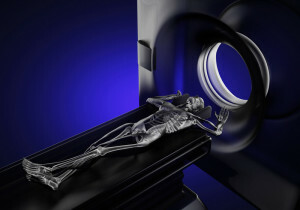 In fact prior to the invention of MRI, it was the gold standard for diagnosing stenosis. There are a variety of non-invasive and invasive treatment options for spinal stenosis. Opioids: these powerful pain relieving drugs are often used as a last resort because of their habit-forming nature. For short term exacerbations, they may work great. Other forms of nonoperative treatment include steroid injections to relieve pain, physical therapy and exercise. Epidural steroid injections have been the gold standard for nonsurgical spinal stenosis treatment for decades. They work very well over 75% of the time and may be repeated with a series of injections every few months. As a last resort, surgery may be performed as a quality of life procedure. It is an elective surgery known as a laminectomy, and usually has excellent outcomes with fairly low risks. Of note, after a laminectomy 50% of patients end up with chronic back stiffness, so it may trade one problem for another.